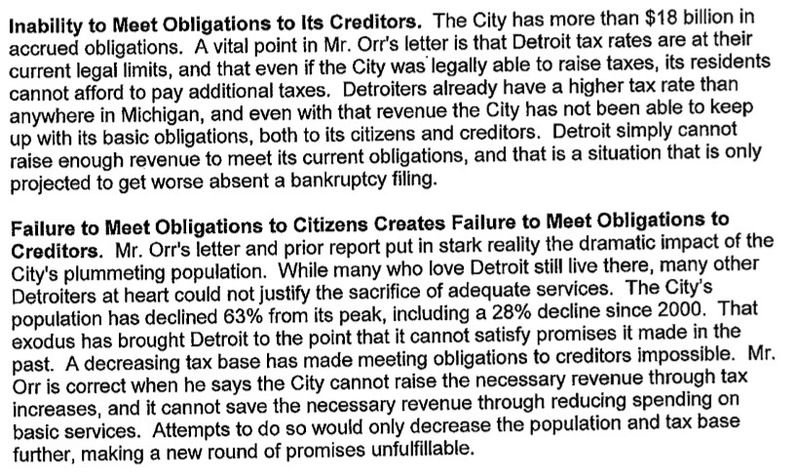 The City of Detroit filed for bankruptcy today. 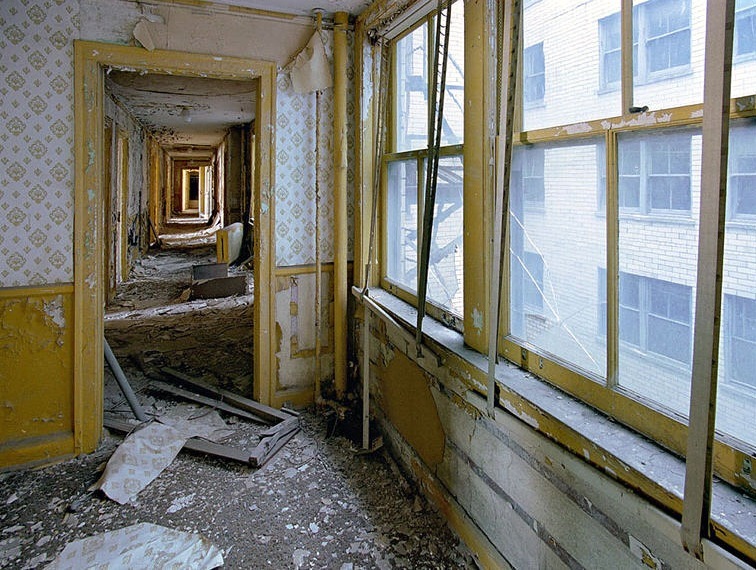 Detroit’s experience is, perhaps, a harbinger of things to come. The city has been going downhill for years, largely due to persistently corrupt and incompetent governance. Mayors and city councilmen have resigned in disgrace or gone to jail. The city’s finances been woeful for a long time. Detroit’s population has plummeted by 63 percent. 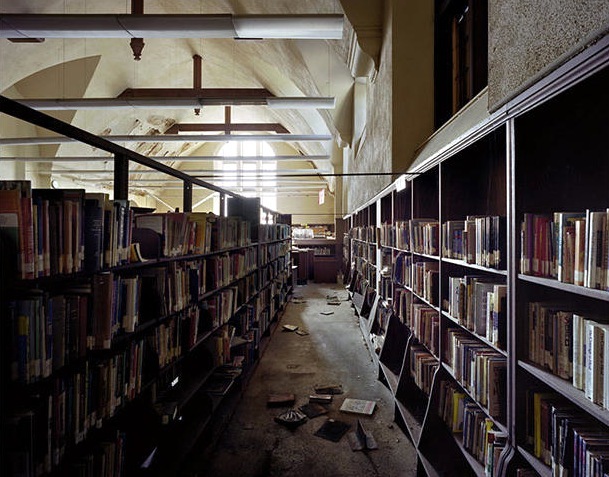 Seventy-eight thousand empty houses and commercial buildings blight the landscape. Crime is rampant. It has been obvious for quite a few years that the city’s all-Democrat governing class is a disastrous failure. One might have thought that Detroit’s citizens, forced to experience first-hand the results of decades of liberal policies, might be willing to try something different, if only out of desperation. But no: the city hasn’t had a Republican mayor since 1961, and every current member of the City Council is a Democrat. (Two City Council positions are vacant because the city can’t afford to pay the salaries.) 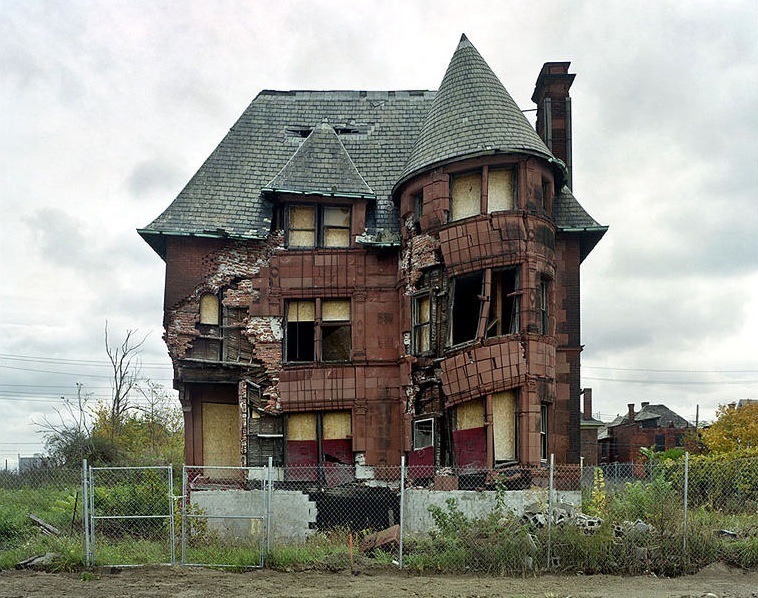 Detroit voters have been willing, apparently, to ride liberalism and the Democratic Party right down to the cellar. One wonders whether we will see the same stubborn commitment to failure in other cities and in states like Illinois and California that are stuck in a downward spiral. Much has been written in recent years about the failure of the blue-state model. 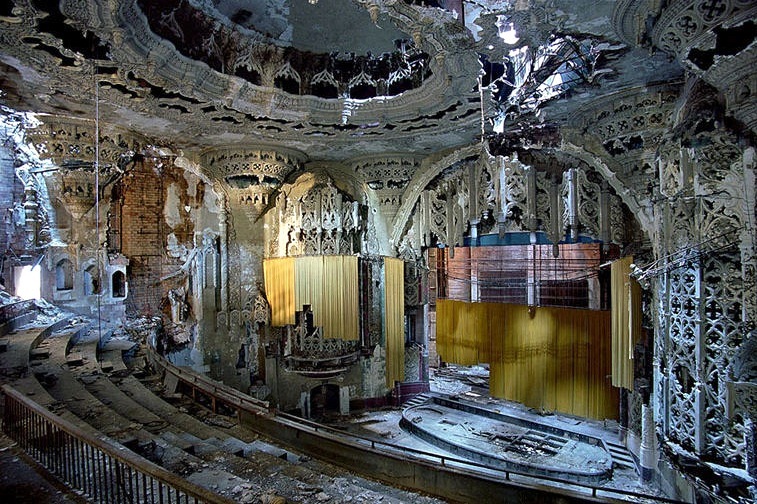 What remains to be seen is whether voters in blue states, and in blue cities like Detroit, have either the common sense or the will to recognize failure when they see it, and to try a different path, before it is too late. 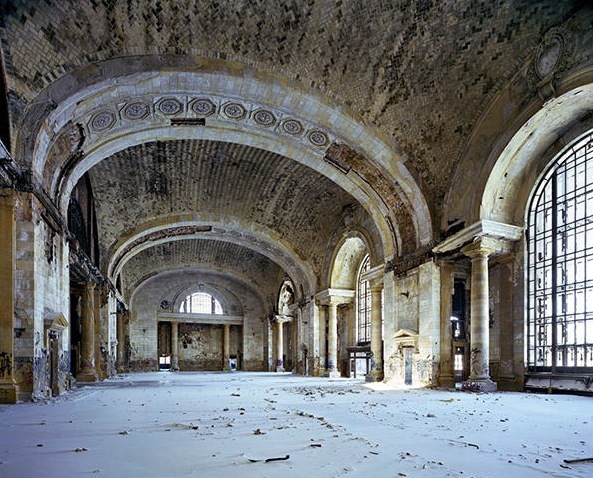 UPDATE: In 2010, French photographers Yves Marchand and Romain Meffre published a remarkable book titled The Ruins of Detroit. You can see a number of images from the book here. These pictures show us, I think, liberalism’s ultimate destination. 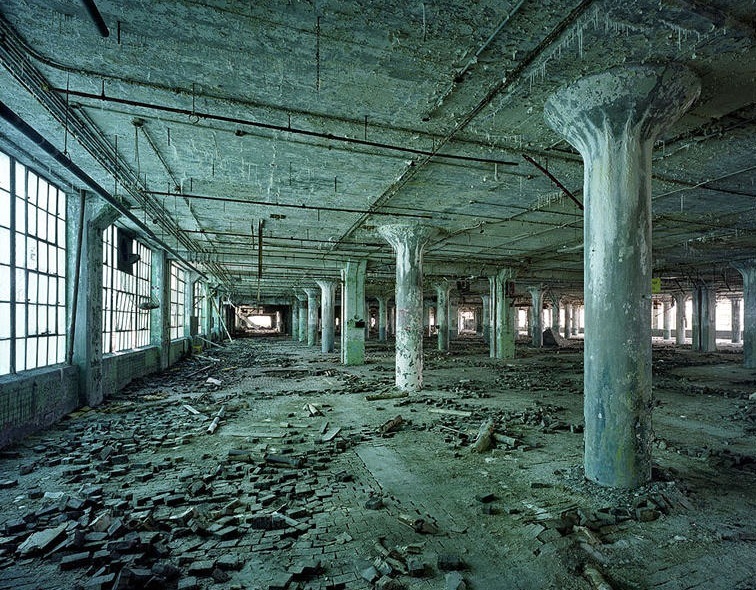 If you want America’s future to look like this, then do what the residents of Detroit did: vote Democrat.